General Santos City – The Department of Science and Technology (DOST) has chosen this city to be the pilot area for the country’s first road train mass transport. Speaking before the members of City Council, Engineer Rommel Coronia, the inventor of the road train, said the prevailing road network in the city was suitable for the operation of the road train. 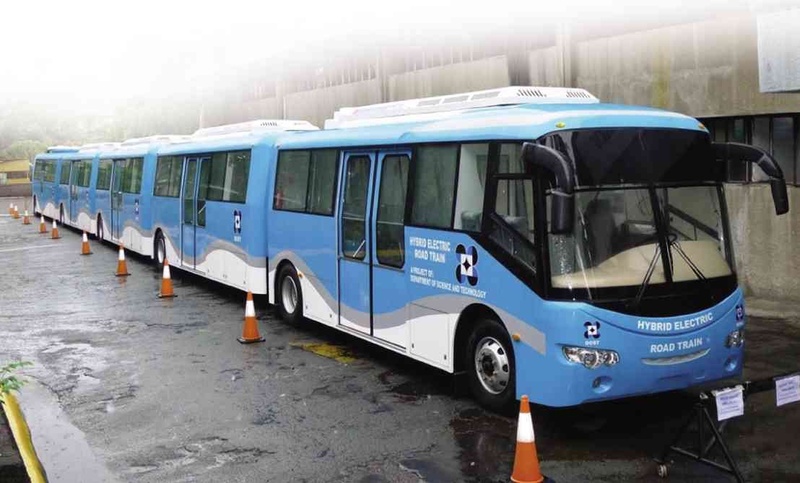 He said the DOST and Metal Industry and Development Research Center (MIDRC) have forged a partnership in the manufacture of the electric hybrid road train which will cost P47 million each unit. Each unit will be attached with five couches that will be able to accommodate 250 passengers. Coronia said the road train will be environment-friendly and powered by electro-diesel.